David Cameron referred to the need for Britain to change its attitude to the “rising tide of people suffering with dementia” on May 26, 2012. “Beware of Pity” is a 1939 novel by the Austrian writer Stefan Zweig. It was Zweig’s longest fiction book. The young lieutenant Anton Hofmiller is invited to the castle of the Hungarian magnates of Lajos Kekesfalva. He meets his paralysed daughter Edith and develops subtle affection and deep compassion for her. Edith falls in love with him. They get engaged for fear of ridicule and contempt, he denies the engagement to the public. There are in fact about a hundred different types of dementia, not all of which present predominantly with significant memory problems. Some can present in a ‘hidden’ way, much like any disability. Some persons with dementia have marked changes in behaviour and personality (with normal cognition). Some may present with quite focal problems, with impairments of memory of concepts, known as “semantics”. Quite often, the title of the newspaper piece will have the word “sufferer” in it. And yet this word has been more divisive than unifying. The word “sufferer” encourages one, perhaps, to “do something about it”, perhaps with a financial donation, in the hope of alleviating somebody’s suffering. ‘Healing’ of suffering might then take place. A person with dementia, poorly hydrated in severe pain, most would agree, ‘suffers’, and it would be inhumane to deny this phenomenon. A problem clearly arises with a person living with dementia, who does not perceive himself or herself as suffering. The word ‘suffering’ also plays into the hands of an uneven power relationship between the carer and the recipient of care. It rests also easily with the medical model of dementia, where you diagnose an illness and implement some form of intervention. On the hand, some people believe that avoiding the term ‘suffering’ is being needlessly politically correct. 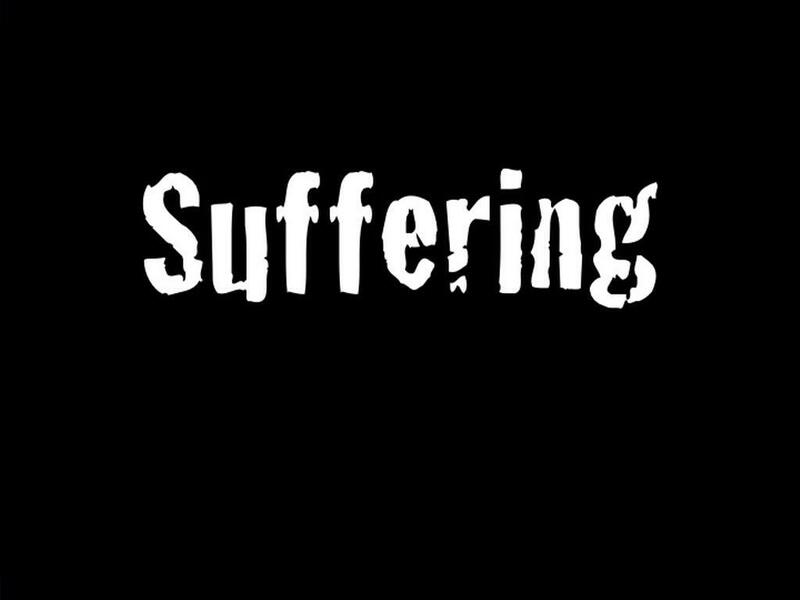 It’s been conceived that some form of suffering in old age has been largely perceived as “inevitable and natural, a fact of existence that was to be ameliorated but not eliminated” (George, Whitehouse and Ballenger, 2001). The term “living well with dementia” was in fact the name of the English dementia policy, about to be renewed later this year by the current Government. Putting emphasis on wellbeing also encourages people to interact with charities, carers or doctors, in the hope that things might get better once a ‘timely diagnosis’ is achieved. To shed some light on this, I decided to ask a person living with dementia whether he considered himself to be a ‘sufferer’. “Well I have a medical condition – alcoholism. If I don’t drink, I don’t suffer.” I thought my reply was clever. “If you drink, you suffer.” Not clever enough obviously. This last sentence is actually quite a subtle point. It is suggested that many patients with dementia may be unaware of some of their symptoms, a phenomenon known to cognitive neurologists as ‘anosognosia’. So symptoms may be more evident to friends and family, rather than the person himself or herself. And, regardless of this, the perception of symptoms may be worse for onlookers than for persons living with dementia themselves. “Does a person with cancer suffer if he has no pain or weight loss?” he asked. It was at this point I knew I was losing, fair and square. A philosopher, Jeff Malpas, argues that if suffering threatens a breakdown in the intactness of the person, then the refusal to recognise the suffering of others potentially represents a double threat. Malpas argues that it is a refusal to acknowledge the persons who bear that suffering, but in addition, it is a refusal to recognise our own connectedness to those persons, and so is a refusal of our own personhood, our own being human. Another interesting philosophical position is also reached by Paul Ricoeur. In the legal sphere, the words “pain and suffering” are used somewhat interchangeably physical and emotional damage, as well as discomfort caused by medical treatment of the injuries (surgery, radiotherapy, etc. ), limitations on daily activities, depression, scarring and disfigurement. Such judgments need to be accurately assessed, for the purposes of compensation. But judging the degree of ‘suffering’ of a person with dementia very rarely occurs in the context of an industrial compensation case. In a completely different world, suffering and pleasure are respectively the negative and positive affects, or hedonic tones, or valences that psychologists often identify as basic in our emotional lives. The evolutionary role of physical and mental suffering, through natural selection, is considered to be quite primitive in nature: it warns of threats, motivates coping (fight or flight, escapism), and reinforces negatively certain behaviours (punishment). The brain areas involved in someone’s perception of suffering using this reductionist approach might be identifiable. But who’s to say what you measure in a brain scanner is the same as a person’s perception of suffering? And if the disease process alters the parts of the brain involved in the perception of suffering, have such individuals lost an ability to perceive suffering? Consistent with ‘personhood’, individual opinions will differ, and nobody has a ‘correct opinion’ as such. For as many who feel that ‘suffering’ is a very genuine phenomenon over which it is dangerous to be in denial, they are others who do not feel that persons with dementia should be specifically targetted for special treatment. So, beware of saying ‘dementia sufferers’. You may be opening a can of worms, even in the title of a well-meaning article on dementia.